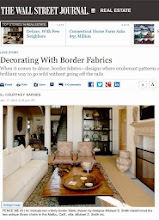 On the team USA front, I've been sharing favorite Peter Fasano fabrics over at tumblr (take a peek inside the Berkshire-based studio here) along with Liberty's new UK-manufactured furnishing fabrics. 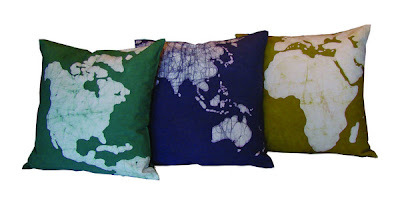 And, also right in-step with Olympic spirit, check out the batik-printed World pillow covers available on sale at The Textile Museum shop. 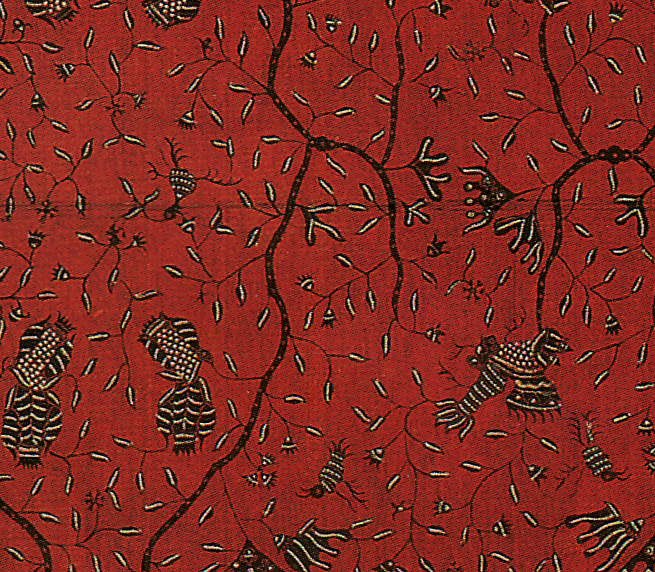 More on batik here, here and here. 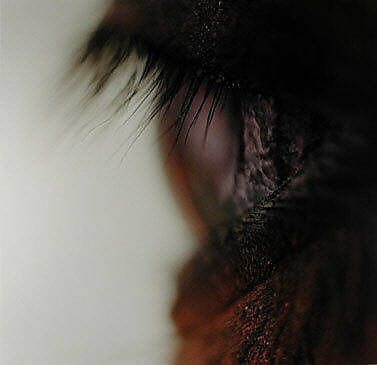 [Untitled #14 from the Horse's Eyes Series by Susan Unterberg. My interest in Paralympic Equestrian Dressage got me thinking about the majestic setting in which the 2012 teams will compete -- historic Greenwich Park. (It's an especially exciting year for top-ranked Team GBR, riding on home turf and receiving unprecedented television coverage in the UK.) Of course while Para-Equestrian competition is focused solely on dressage, Olympic events encompass show jumping and cross country, too. 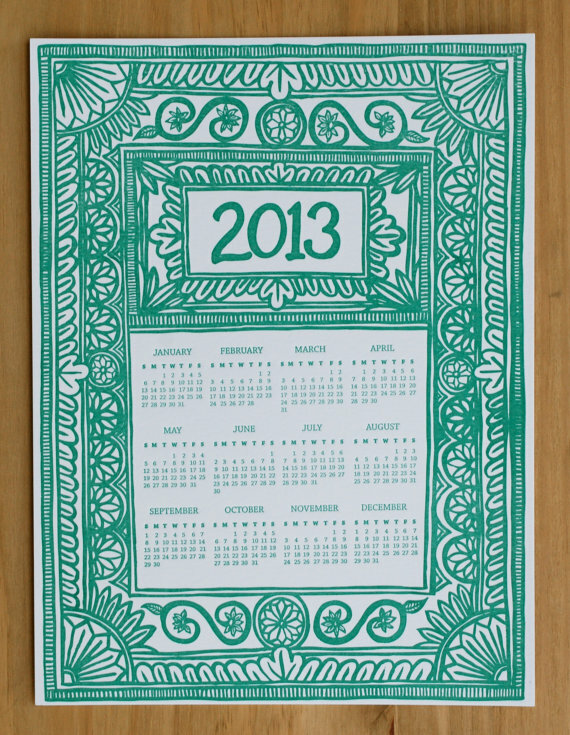 This is where the work of course designer Sue Benson comes in. 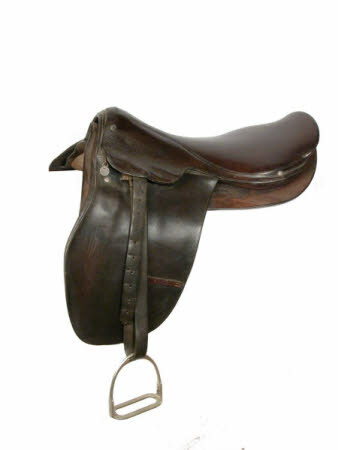 If you're interested in the connection between design, Greenwich Park, and riding, I spotted a nicely detailed (challenges, controversies and all) story here. 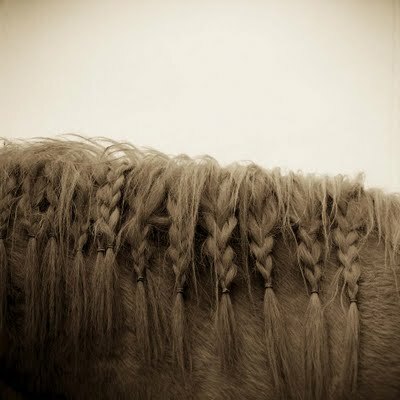 You might also like Lori Vrba's work. Muslin is like the steel magnolia of the textile world: whisper light and ethereal in appearance but strong. Surprisingly strong. 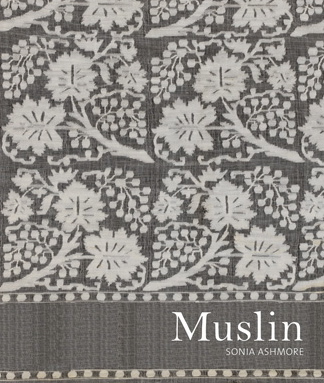 In March I mentioned design historian Sonia Ashmore's upcoming book for the V & A, Muslin. 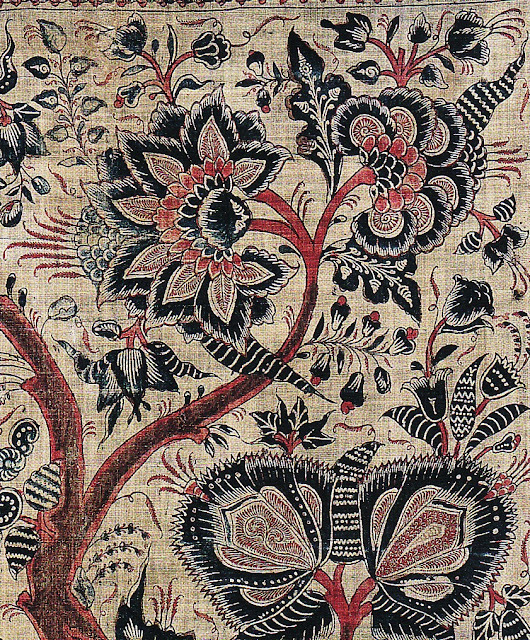 From Bengal scarves to airy Keats-period dresses to ballet costumes, she draws upon 900 examples in the V & A's archives. 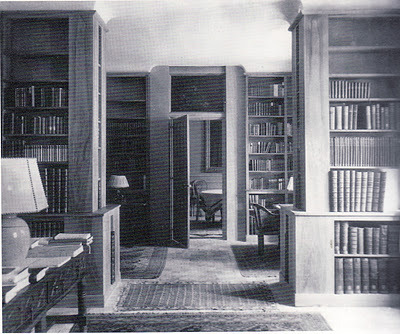 Now the fall book season is just around the corner. If you'd like to try and purchase Ashmore's latest from a brick-and-mortar shop in the U.S., the publisher here is Abrams. 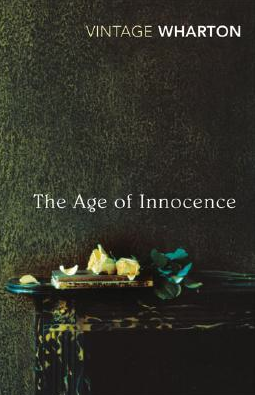 You may also pre-order it through Abrams online. More on the book to come. Book cover design has been a reoccurring topic of interest for SC so I wanted to help spread the word about Vintage Books' new presence on tumblr. 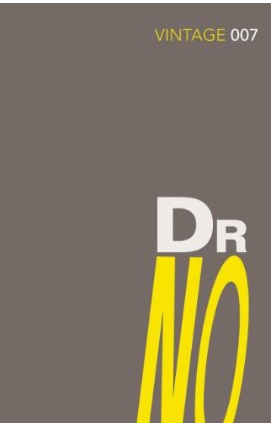 If you're interested in the Saul Bass-inspired covers created for the reissue of Ian Fleming's 007 series, or maybe Vintage's take on Edith Wharton's work, the design team's blog will be worth exploring. And speaking of Wharton, the 150th birthday celebration continues. 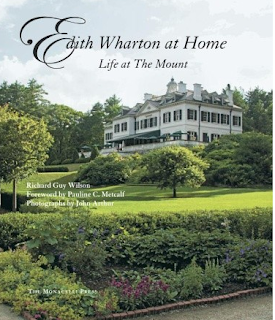 On August 19 at 5 p.m., architectural historian Richard Guy Wilson will visit the Gilded Age writer's country house in the Berkshires; it's the focus of his upcoming book, Edith Wharton at Home: Life at the Mount. Taking advantage of this "uniquely autobiographical" place, a bit later Kate Bolick, Adam Gopnik and scores of other acclaimed writers will participate in a 21st century literary house party at The Mount, Berkshire Wordfest 2012, scheduled for September 14 -16. Tickets are available online. and design and Paralympic Posters. The bucolic element in this photo isn't exactly obscure but there are other, easier to overlook examples of nature in the city. In conjunction with the monumental summer exhibition, Turner Monet Twombly: Later Paintings, Tate has posted a free online guide for kids, 5 Steps to Discovering Nature. 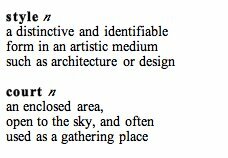 The idea is to find a hidden natural wonder and document it with a photograph or sketch -- in short, embark on an urban adventure. And to inspire all ages, there's the introductory video. Just two days remain. Now through July 22, enjoy discounts on already reasonably priced textiles from Erica Tanov. 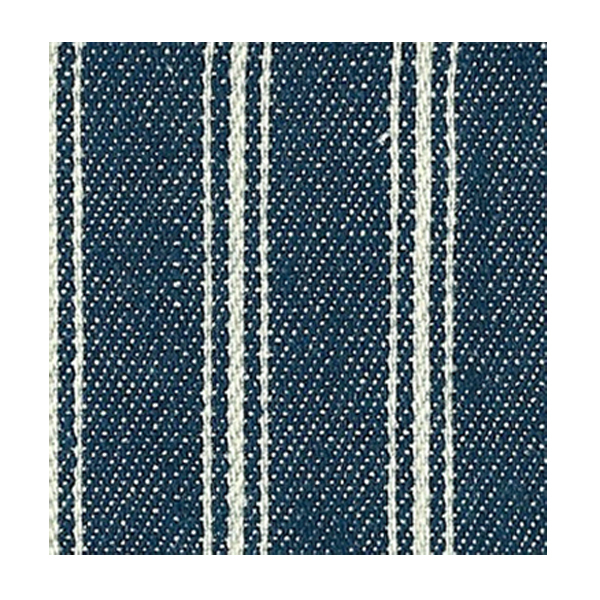 As always, the webshop offers a mix of her own designs along with classic plaids, stripes, and solids. 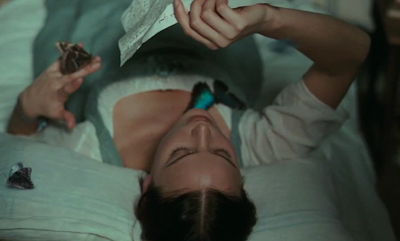 Maybe just browsing will inspire a you to become a 21st century Fanny Brawne. Generously sized, hand-dyed napkins made by Polly Lyster are among the simple luxuries sold over at Britain's Lapaloosa. 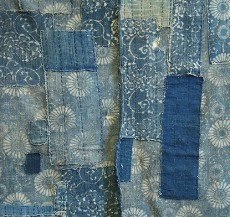 The soft blue is Lyster's signature color (she's well-known in the textile world for her mastery of indigo dyeing) and reminds me so much of the fabrics Janet Patterson used in 2009's ode to stitchcraft. Lyster's medium of choice is typically antique linen. 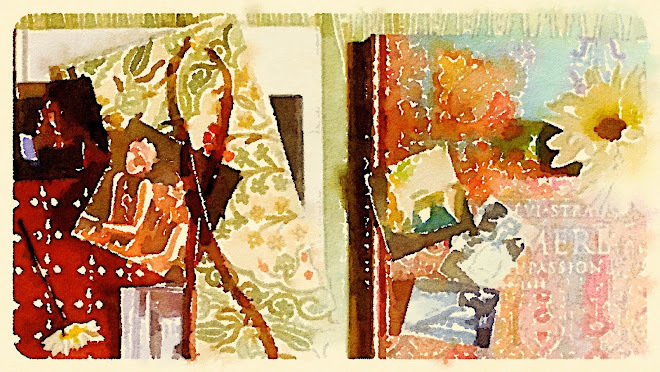 She does made-to-order sheets, too, which are often bought for upholstery. 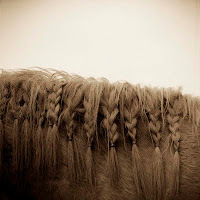 French General, in Los Angeles, will host the semi-annual Woad Workshop with Denise Lambert on Saturday, September 15. 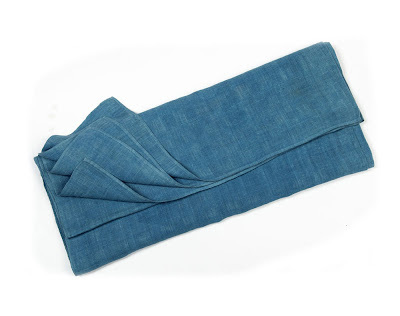 The Textile Museum, in Washington, D.C., will offer families a free shibori workshop with opportunities to make indigo-dyed pillowcases on Saturday, August 4. And there's always the library or book store. Responding to the era of the iPhone, this 21st century period when all of us with access to a camera phone are documenting our worlds, Atlanta-based photographer Ryan Nabulsi is looking to the past. 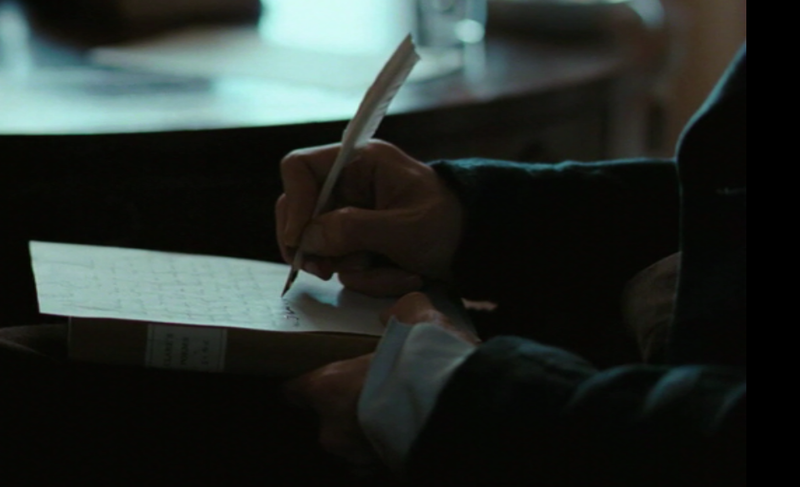 But his intention is to create something new. 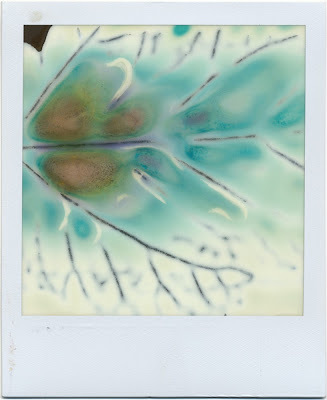 Inspired by the photograms or rayographs of the early 20th century -- a form that involved artists positioning insects, leaves, lace or other small pieces onto a light sensitive material and then exposing the paper -- Nabulsi has done his own thing, imprinting leaves directly into the chemistry, rather than exposing it. 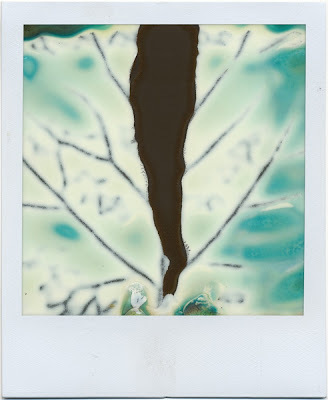 He also works with instant analog film (SX-70 Polaroid) but is making his images bigger, and less familiar, than old Polaroids. 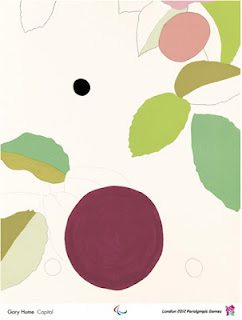 His work is highlighted this month over at gallerist Jennifer Schwartz's The Ten. 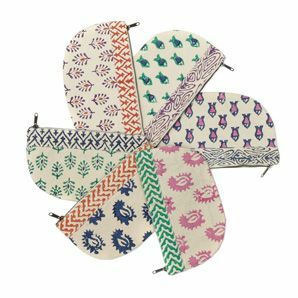 Long-time textile designer Elizabeth Hamilton recently branched out on her own with a collection entirely hand silk-screened in the U.S., in her Massachusetts studio. 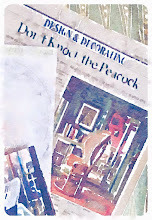 Although I first spotted one her prints in The World of Interiors, January 2012, I have to thank designer Laura Casey for encouraging me to explore Hamilton's lookbook in depth. 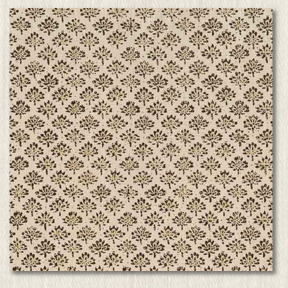 Today I'm loving Margi in chocolate/taupe. For the past few weeks precious Indian silver and rare textiles have dominated my posts, so on this summer afternoon I wanted to shift the focus to something a little more attainable, but still handcrafted. 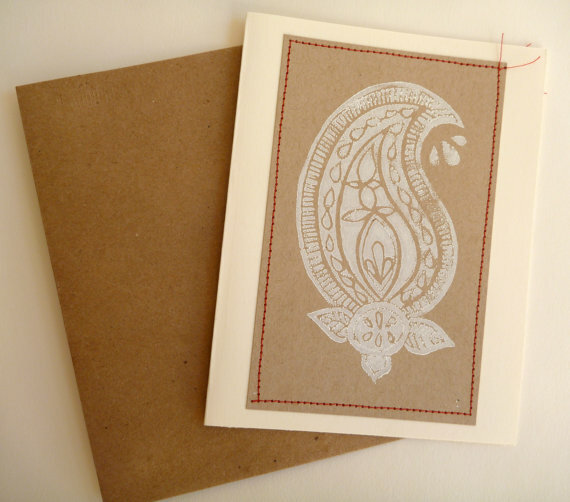 I love how Washington, D.C. -based printmaker Katharine Watson takes inspiration from patterned Indian textiles as she handcrafts paper goods in her studio. 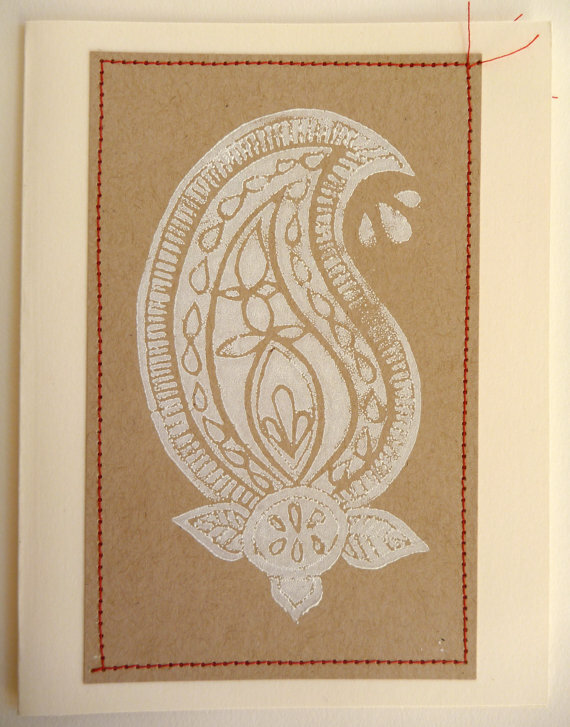 The boteh (stylized leaf or teardrop) on her kraft paper card, above, uses one of the most iconic motifs -- the design element we see so often in the collections of the Calico Museum of Textiles and the V & A. 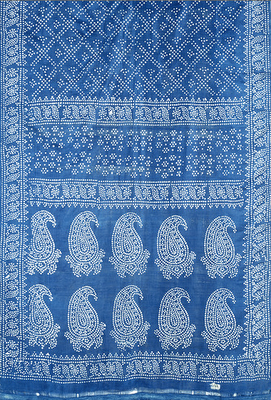 Case in point: the sari below. 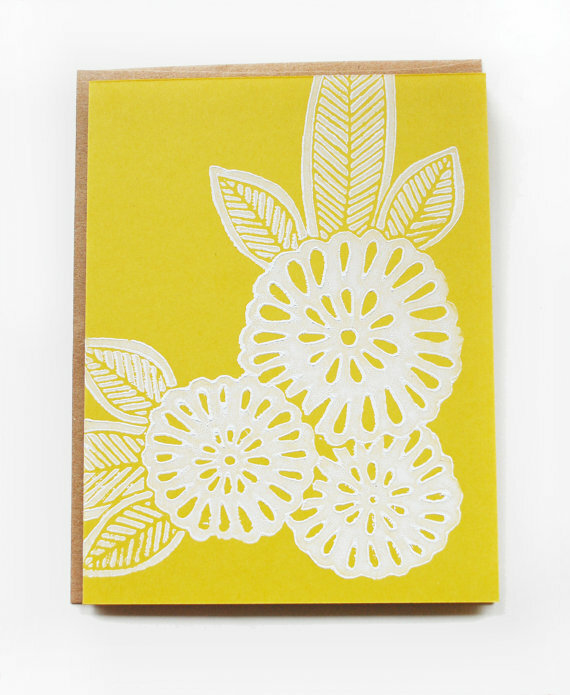 Other wares, like this card printed by Watson with her own hand-carved linoleum block, feature stylized blossoms. 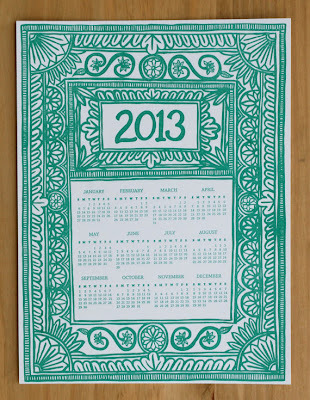 The dense, all-over pattern of her 2013 calendars began with a hand-painted design which was transferred to a block and then letterpress printed. 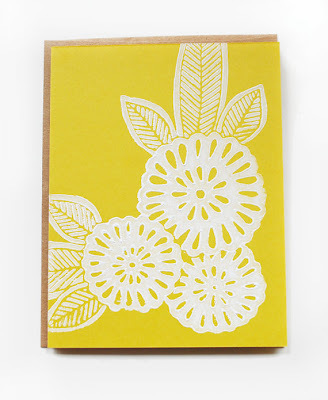 To learn more about Watson's process, travels, and inspiration, check out her blog, The Printing Press. 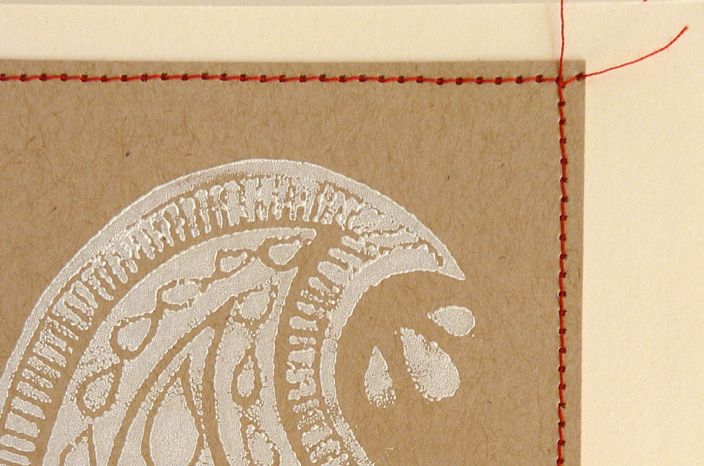 In San Francisco, find her at Renegade Craft Fair Saturday and Sunday, July 21 and 22. 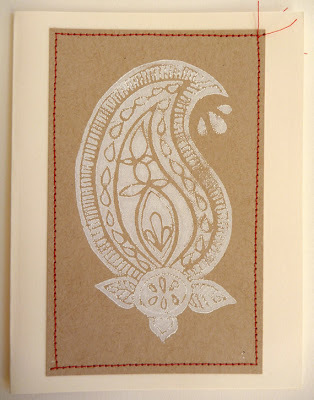 Lately, I've been studying Suzanne Rheinstein's print Indian Zag. It has so much presence from a distance. But I think it's even more interesting up close. The smaller, wave-like zig-zags, the droplets, and the layer cake of patterns make me flash back to an old Indian bracelet I saw at the Carlos in the summer of 2010. 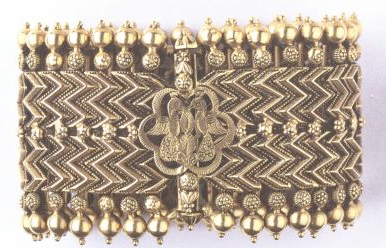 When Gold Blossoms: Indian Jewelry from the Susan L. Beningson Collection was on view in Atlanta then. The beautiful exhibition of fine, mostly South Indian pieces from the 17th through 19th centuries has been traveling for many years now. Readers in Asia will be happy about the next stop: Hong Kong. 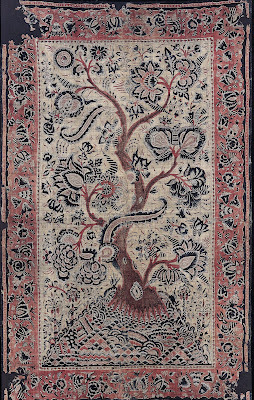 More than 150 exquisitely crafted objects will be at the Asia Society Hong Kong Center September 26, 2012 through January 6, 2013. Read about the past Atlanta visit here. 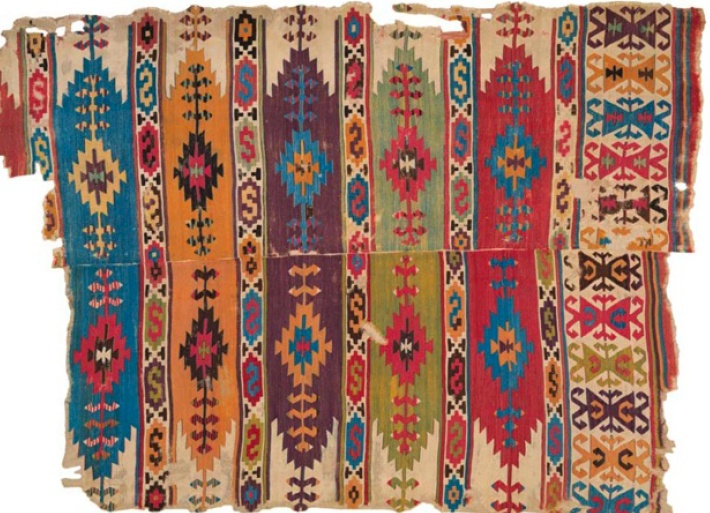 [Aksaray kilim fragment, Central Anatolia, circa 1800, private collection, Munich. 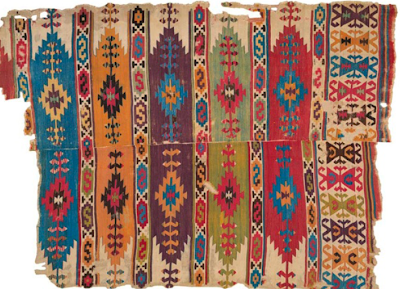 I'm drawn to the entire palette of this kilim fragment but, as I'm currently a little obsessed with leafy-green and soft-plum together, I especially like the combination of the two central stripes. Both colors have a blue base. *The closing date was extended after the museum's earlier post was published. In the next few weeks we'll be seeing a lot of Stella McCartney's Olympic and Paralympic Team GB "kit," as the Brit's call it. 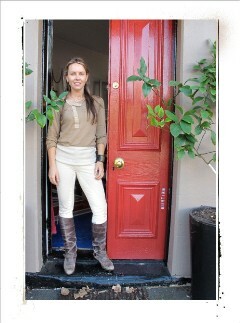 Writing for Selvedge, Kate Cavendish takes an in-depth look at the design in the magazine's new mid-summer issue. I'm taking a second to mention it because the whole issue is well-worth a read. From English saddles and sails to riding habits and American swimsuits, the editors explore textiles and craft behind the Games. 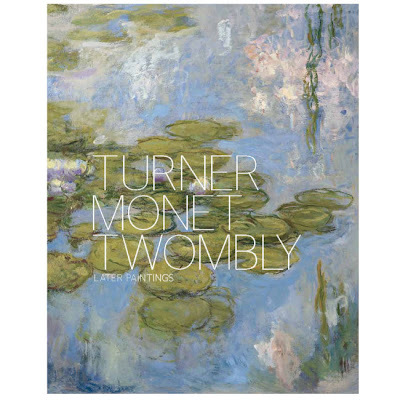 Learn about Paralympic posters at the Tate, here. 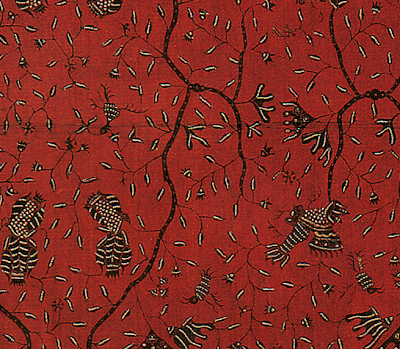 So these crustacean-like figures obviously aren't zebras, but something about the striped forms frolicking across a rich red ground makes me think of that oft-blogged, much younger Scalamandre print known to many as Margot Tenenbaum's bedroom wallpaper. It's the sense of movement, in addition to the combination of colors. Yet the prints were created a century apart and on different continents. There are myriad Royal Tenenbaum posts to explore, but this brief one is a favorite. And now for something a bit more spare. 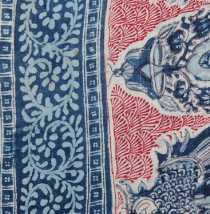 Well, "spare" is a strange way to describe an all-over pattern distinguished by a flowering tree dense with leaves, but this monochromatic Indonesian cotton cloth, above, is more restrained than the lush multi-color Indian palampore we looked at last week. It's basically a descendant of that palampore. After centuries of admiring and living with textiles imported from India, Indonesians incorporated Indian motifs into wares they produced at home. 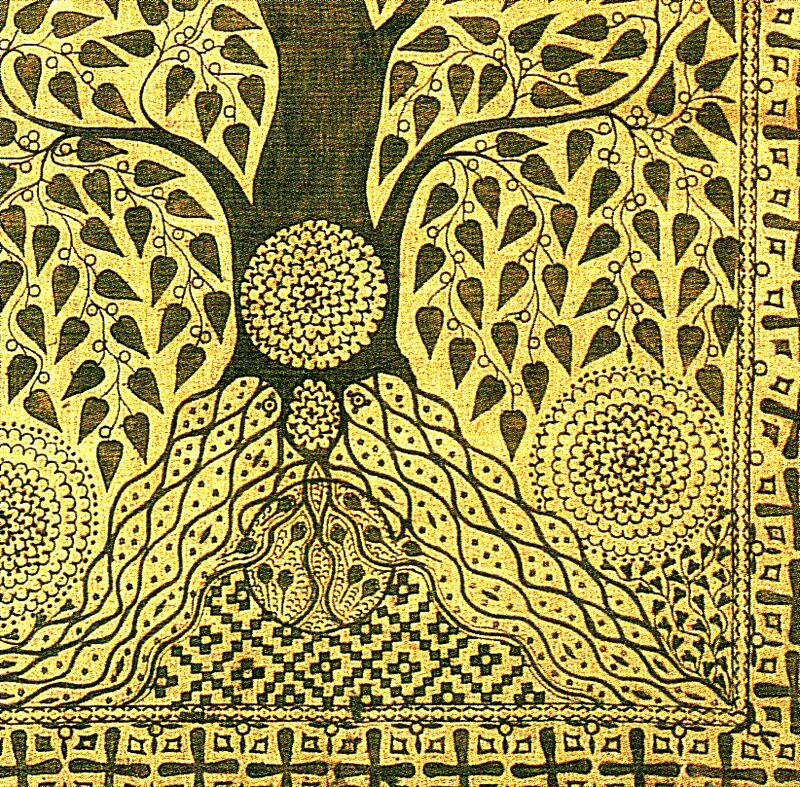 The block-printed piece shown here is the Toraja people's take on the tree of life. 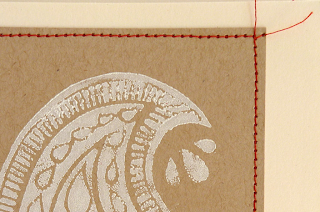 When I first saw it, I was struck by the wavy, delicate treatment of the tree roots (kind of Allegra Hicks-like). Also couldn't help thinking of the ever-popular, more contemporary fabric, Arbre de Mattisse, spied through the door above. While I'm on block-printed leaves, a reminder to check out FEED Projects' Indian pouches and sarongs. 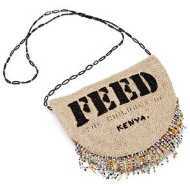 The purchase of each FEED India Bag, and each handmade sarong, will provide 25 school meals for children. 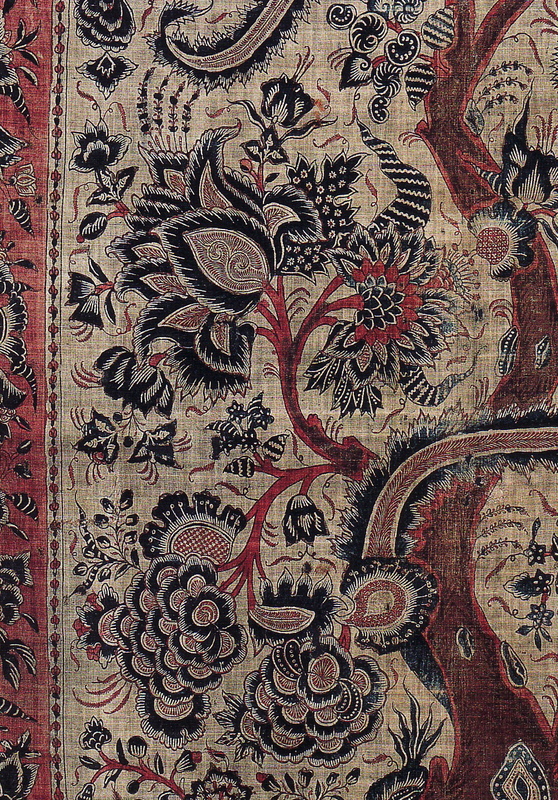 [Detail: late-17th-century painted mordant-dyed and painted cotton Coromandel Coast palampore made for the Indonesian market. 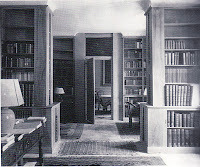 Collection of Thomas Murray, California. 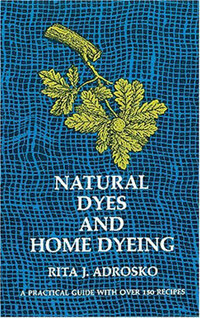 Darker, earthier, berry hues say mid-summer, to me. 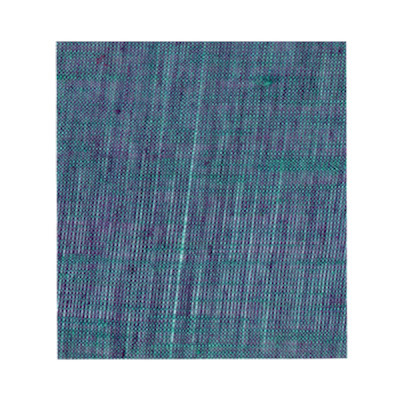 And deep indigo actually feels cool, like a spot in the shade. Imagine lying under this stylized flowering tree. 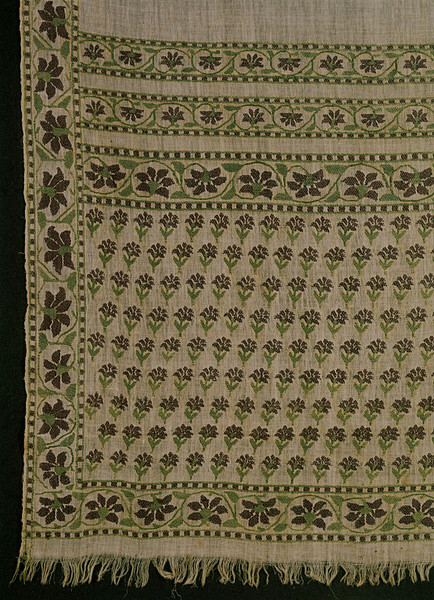 Found in south Sumatra, the wear and tear seen at each corner of the cotton palampore suggests it was used as a canopy, writes John Guy in Woven Cargoes: Indian Textiles in the East. 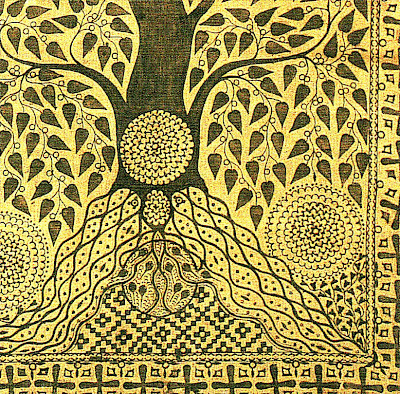 "...a tree with serpentine trunk and branches growing on a mound or rockery; often with partly exposed roots, and bearing a profusion of fruits, flowers and foliage of mixed and multifarious botanical associations." Maybe this is the type of madras you're expecting to see over the weekend. 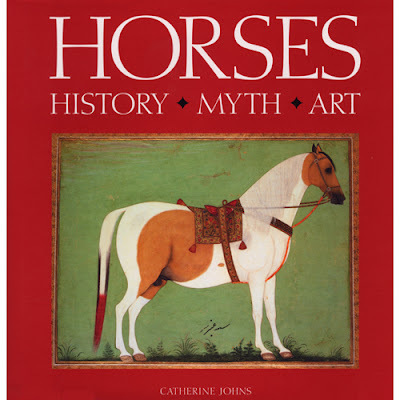 But if you happen to be in Richmond, you can check out different, yet still iconic, pieces originating in India. 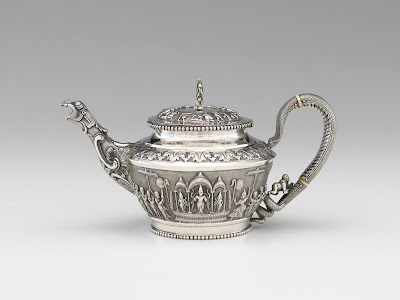 [Teapot from a Five-Piece Tea Service, 1876, P. Orr & Sons, Madras (Chennai). As mentioned in June, Indian Silver for the Raj opens on Saturday at the Virginia Museum of Fine Arts. 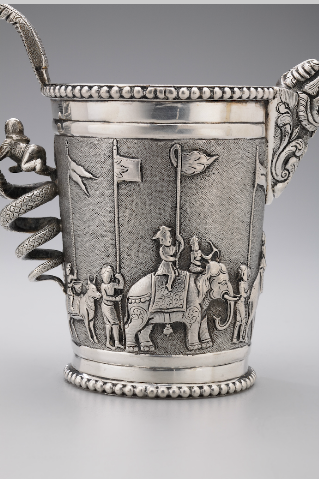 To follow up on last week's post, I wanted to look at Anglo-Indian silver from another region, Madras, the Coromandel Coast city known today as Chennai. [Detail, from the P. Orr & Sons, 1876, Madras-made Five-Piece Tea Service. 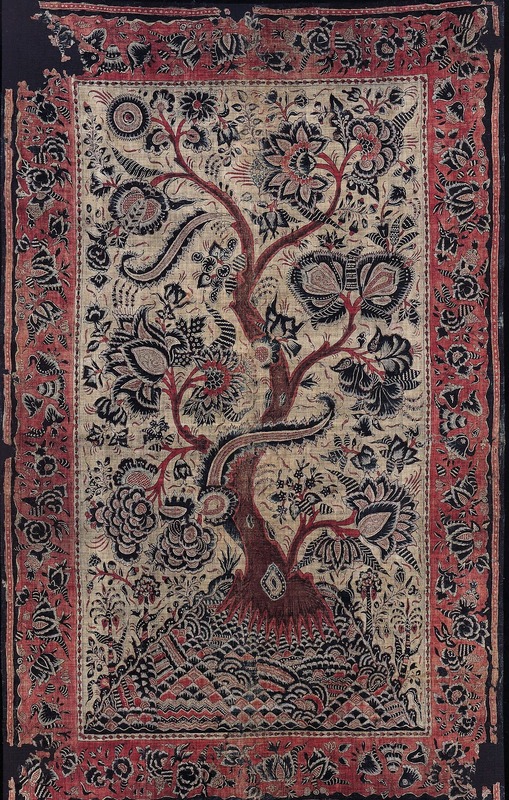 While Raj-era wares from Kashmir and Kutch were typically ornamented with organic, all-over florals or leafy motifs, Madras gravitated to Hindu deities. Inspired by the stone carvings on the city's temples as well as street festivals, silver craftsmen decorated objects with intricate, narrative, deity-filled scenes. Hence the term Swami silver became interchangeable with Madras silver. *According to curators of the 2009 show, Delight in Design.